If you’re using big data platforms like Hadoop, your company’s confidential information may be exposed during an audit or breach. Big data presents big opportunities for companies, but it also creates a whole new set of data security challenges. 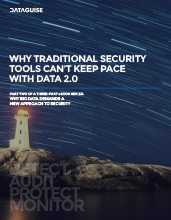 This easy-to-read eBook explains why traditional security tools can’t keep big data safe, leaving enterprises at risk.